Background and aims: Methods of simulation training and quality assessment during obstetric emergencies are still ambiguous. The aim of this study was to evaluate the effectiveness of anaesthesiologists’ simulation training for emergency situations in obstetrics. anaesthesiologists’ simulation training effectiveness during obstetrical emergencies. Data of 109 obstetrical anaesthesiologists trained over two years for invasive procedures and cardiopulmonary resuscitation, highfidelity scenarios and medical personnel teamwork included were analyzed. We used the two-sided t-test (p < 0.05 considered significant). Results: We noted during the fifth training sessions, the anaesthesiologists had a significant manipulation time decrease for all skills compared to the ones assessed during their first training session (p < 0.01). 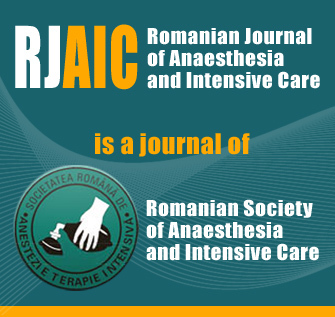 The 100-grade scale scores for all invasive techniques significantly improved during the anaesthesiologists’ training (p < 0.01). Cardiopulmonary resuscitation effectiveness and team work also improved significantly during the fifth session (p < 0.01). Conclusions: As a result of simulation training, significant improvement of speed and quality indicators, for invasive techniques in obstetrical emergency states treatment, was noted. For the fifth training sessions, there was a decrease in the practical skills execution time. The overall effectiveness and teamwork quality for cardiopulmonary resuscitation showed significant improvement.